Wedding season in India always gets everyone, especially the gorgeous girls, highly excited. After all, it gives them an opportunity to add more and more new styles as well as colours in their wardrobe. Well, shopping for new clothes for any wedding celebration sounds really exciting. But, the task gets really difficult when you are unable to find something unique yet classy to wear. Well ladies, if you too have any of your cousins or BFFs’ wedding around the corner, and are yet to decide what to wear, then you are at the right place! 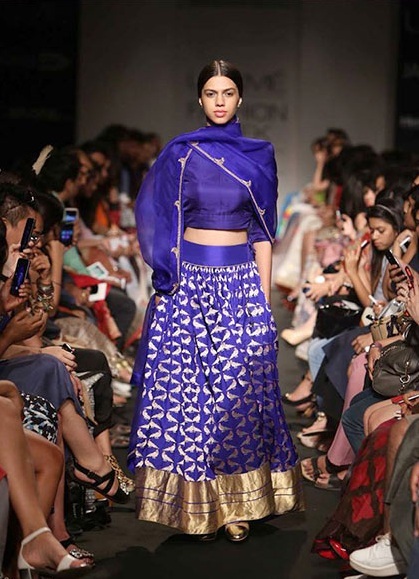 A lot of designers have come up with this super-cool variation of lehengas in the recent past. And don’t worry, the pocket lehengas look no less than the usual ones. Moreover, they come with the added advantage of extra space that you can use to keep your phone or other small handy stuff that you will be carrying during the wedding. For all the modern girls out there, this outfit is made just for you. A perfect blend of contemporary silhouettes and traditional elements, the fusion gowns are sure to turn all the heads towards you in a wedding function. So, opt for anything from a trendy gown or a saree-style gown, and get set to wow everyone with your great taste. 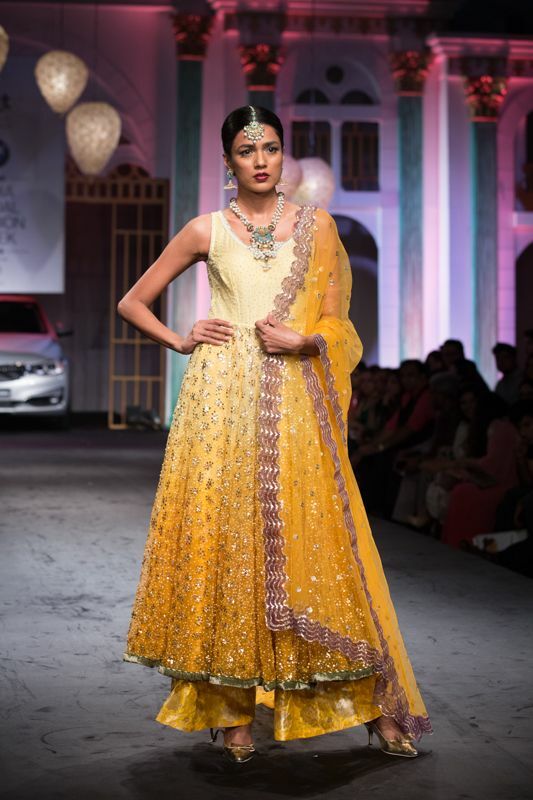 This is yet another trendy variation of a traditional Indian outfit that you must try this wedding season. 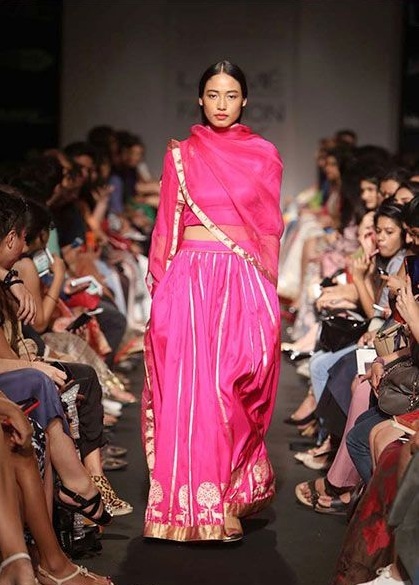 As Bollywood’s fashion diva, Sonam Kapoor, has already made dhoti saree an international style statement by donning it at the Cannes, you too can opt for this edgy outfit and rock any wedding party with ease. So don’t wait girl, go grab one! Agreed, this is not a complete outfit, but just a part of it. But, as the crop tops have been making waves in the world of Indian fashion these days, we could not stop ourselves from sharing it with you. 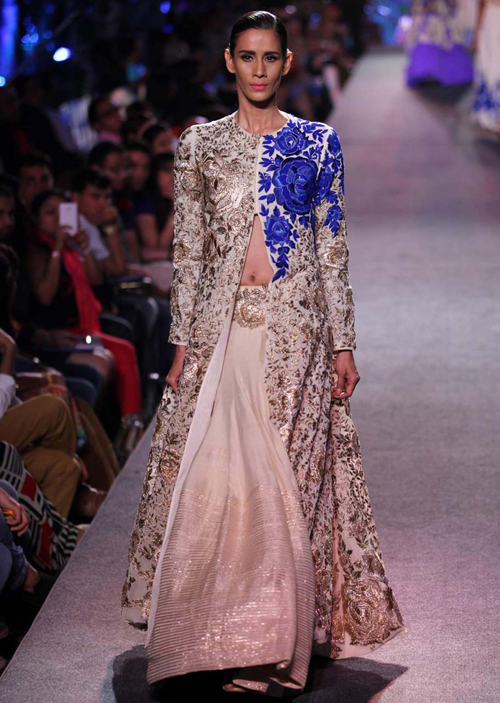 We will definitely tell you about how to style a traditional Indian outfit with this trendy piece of garment. 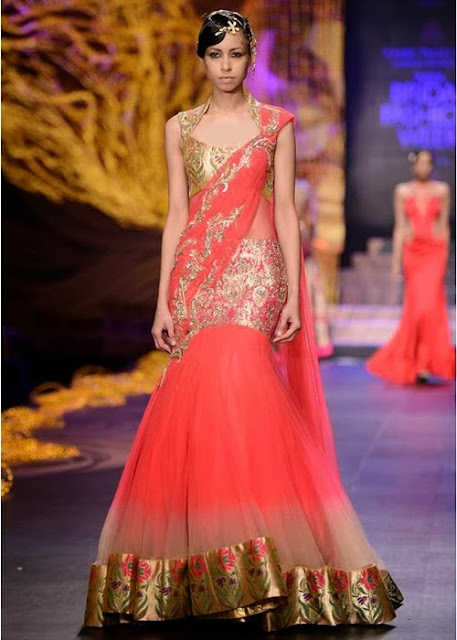 Simply team up a heavily embellished crop top with a bright printed lehenga, or go the other way round by opting for a bright top and a lehenga with heavy work on it. 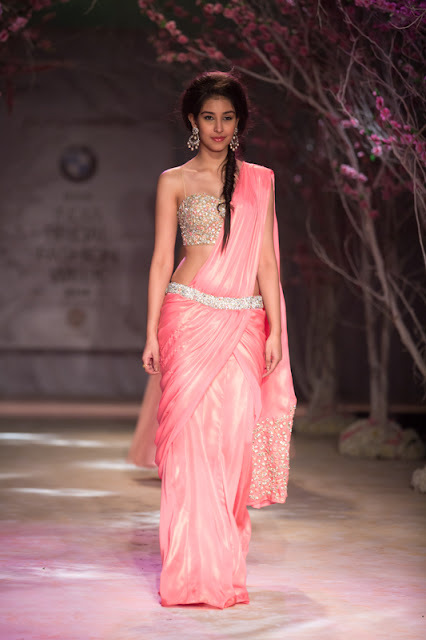 You can add a funky twist to your saree by wearing it with a crop top instead of a regular blouse. If you always thought that a kaftan is suitable only for your outing at the beach during summers, then think again. When styled right, this freely-flowing piece of garment can make you look no less than a glamorous diva at a wedding function. Our suggestion is to pick anything from a mid-length or long kaftan, and team it up with the matching leggings. 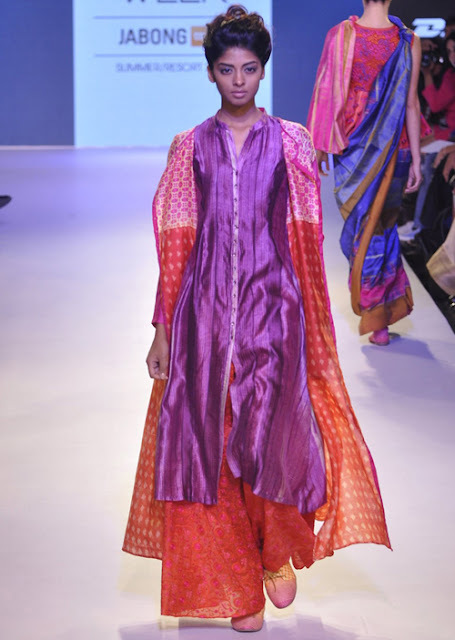 You can even go for a floor-length kaftan, which looks like a gown. 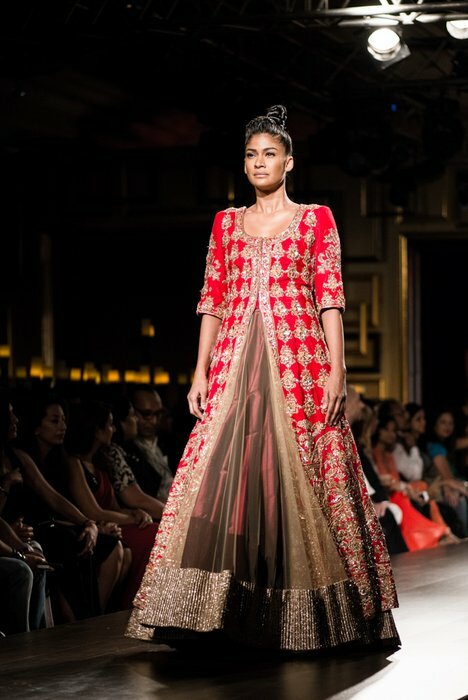 No matter which length you opt, make sure you pick up the one that has traditional print, embellishments or embroideries. Who would have ever imagined that the jackets can be worn as a party wear by women as well? 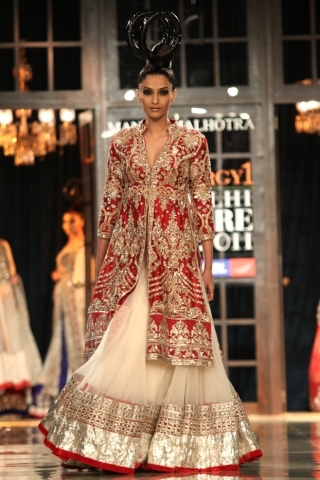 And today, the bridal fashion weeks are never complete without displaying this awesome style on the ramp! Simply team up a mid-length or a long jacket with your lehenga and forget about anything else. While fabrics, like velvet, silk, etc., are perfect for a winter wedding, you can pick up a jacket in sheer fabrics to look stylish in a summer or monsoon wedding. 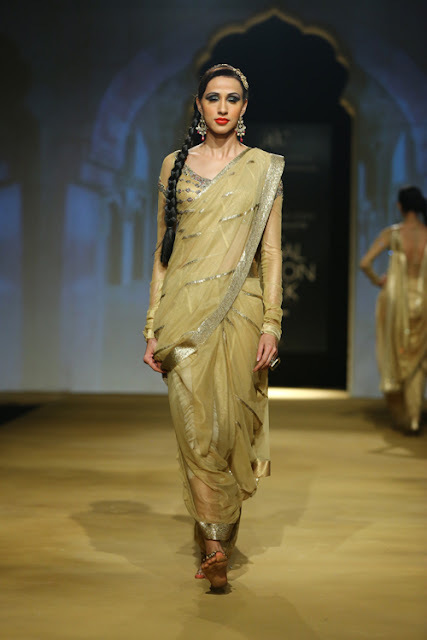 Traditional Indian suits get a flavour of freshness with this uber-chic variation. 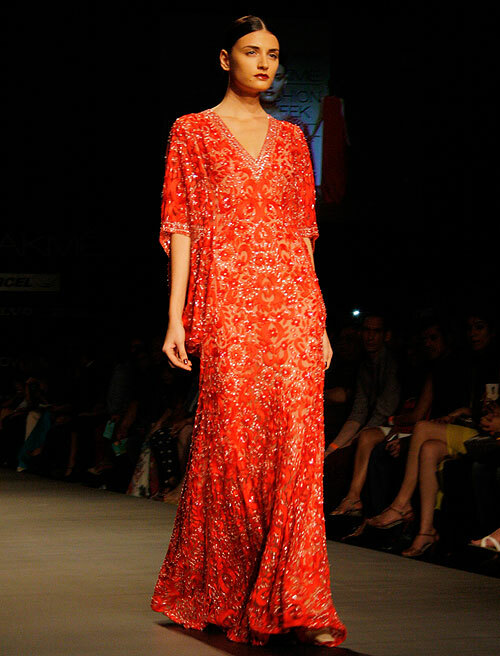 Instead of wearing your favourite kurta with a churidaar or salwar, team it up with stylish palazzo pants. Not only will it up your glam quotient for a party, but will also make you feel absolutely comfortable. So ladies, what are you waiting for? Just take your pick out of these supers-stylish new-age outfits, and get set to turn all the heads towards you in a wedding.